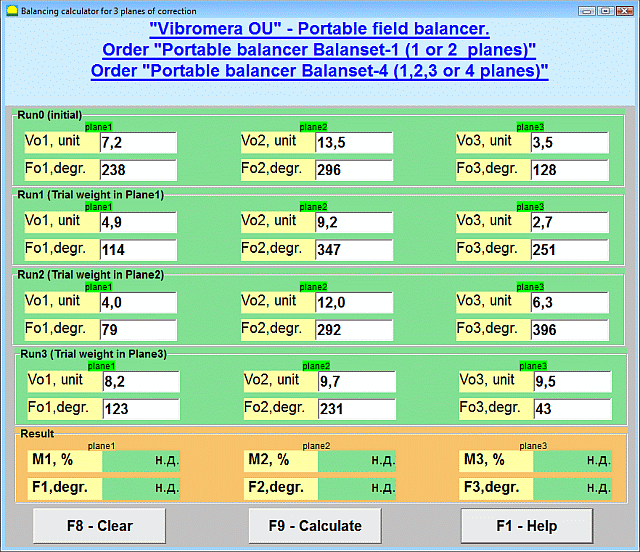 Description: 3-plane balancing calculator can transform any single-chanel vibration instrument that is capable of measuring vibration and phase into a 3-plane balancing system. For a full-featured, dynamic 3-plane balancing system you can see inexpensive "Balanset-3" portable field balancer. Description: ABF Value Converter is an application for measurement units conversion. This software easily converts various measurement values into any other possible ones. Inches to centimetres, pounds to kilograms, Fahrenheit to Celsius... and more than 5000 other conversions, grouped according to categories. ABF Value Converter also calculates the values of many mathematical functions, as well as makes it possible to conduct geometric constructions. Description: Aucticus? provides a simple interface that allows you to quickly and easily view your true profits from eBay, Overstock, and Yahoo listings. Knowing how small changes in your listing strategy can affect your net profits on your preferred auction listing site can make a big difference in your net profits. Even just a penny difference in your starting price can effect the fees you pay for listing an item. Description: Two programs in one. One that can Add, Subtract, Divide and Multiply fractions and another that can convert a decimal to a fraction or a fraction to a decimal. It's a breeze with "Fractions". Quick and easy interface. No confusing menus. Many fraction programs only convert fractions to a decimal. This unique program converts decimals to fractions. Great for school or work. Handy for STOCK quote conversions. Description: General Business transactions include lots of denominations and to manage it in a proper way is bit difficult and time consuming. Hence, to make this an easy procedure, we at Multiicon have developed the software CASH COUNTER. It is handy software which works like your real Cash Counter useful for maintaining the records of inflow and outflow of the denominations. Description: CATCount is useful software tool for translation industry professionals. It greatly eases task of accounting of Computer Assisted Translation jobs. CATCount does this by translating complex CAT Scheme into one easy number, i.e. CATCount. Additionally, it provides great features for printing and export of used CAT Scheme together with original wordcounts, and resulting CATCount. Wordcount analysis logs of Trados are processed automatically. Description: CATCount is useful CAT tool. CATCount eases accounting of Computer Assisted Translation Jobs by translating complex CAT Scheme into one easy number. Additionally, it provides great features for printing and export of used CAT Scheme together with original wordcounts, and resulting CATCount. Wordcount analysis logs of Trados are processed automatically. Trados 2.5, Trados 3.0, Trados 5.0, Trados 5.5, Trados 6, Trados 6.5 and Trados 7 supported.